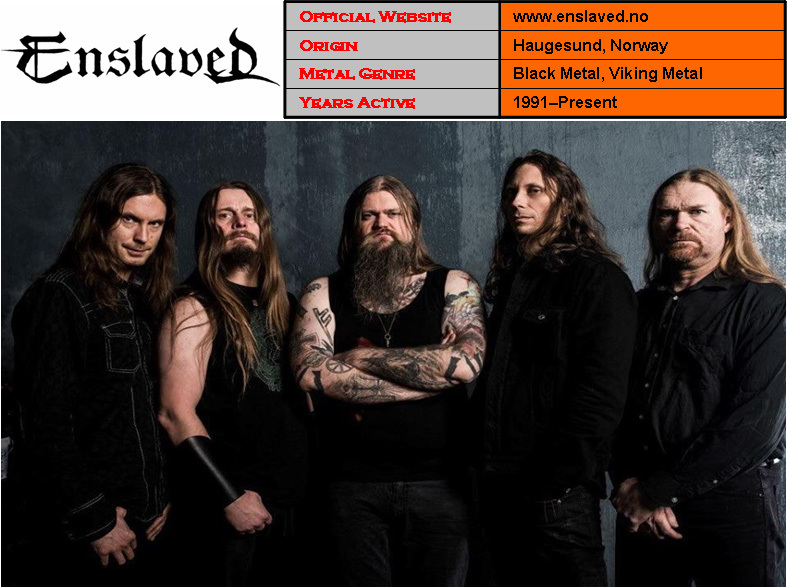 Enslaved is a Norwegian extreme metal band formed by Ivar Bjørnson and Grutle Kjellson in Haugesund in June 1991. Though the band’s lineup has changed many times over the years, Bjørnson and Kjellson have been the sole constant members, and the lineup has remained the same since 2004. They are currently based in Bergen, Norway. 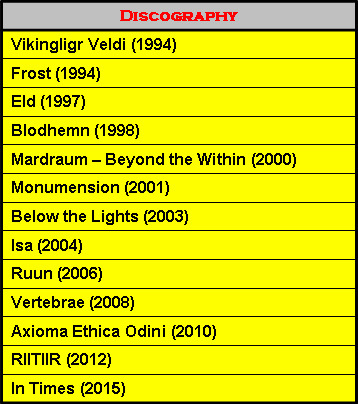 To date they have released thirteen full-length studio albums, the most recent of which, In Times, was released in 2015 on Nuclear Blast Records. The band’s music draws heavily on the Viking cultural and religious heritage of their home country of Norway for inspiration, and most of the band’s lyrics relate to Norse mythology.